Celebrate summer’s end and climb over 11,000 meters this month. For most of us, August is the last chance for long summer rides. Shorter days and falling leaves are around the corner, so let’s make the most of summer’s end and go after some huge climbs. We’ve picked 11,000 meters just to dial the toughness up a notch from July’s Giro Challenge. This will be unbearably tough for some and a typical month for others – but regardless, it’ll take plenty of hours with the saddle pointed straight uphill. That’s the point. Enjoy what’s left of summer and get fit for fall! 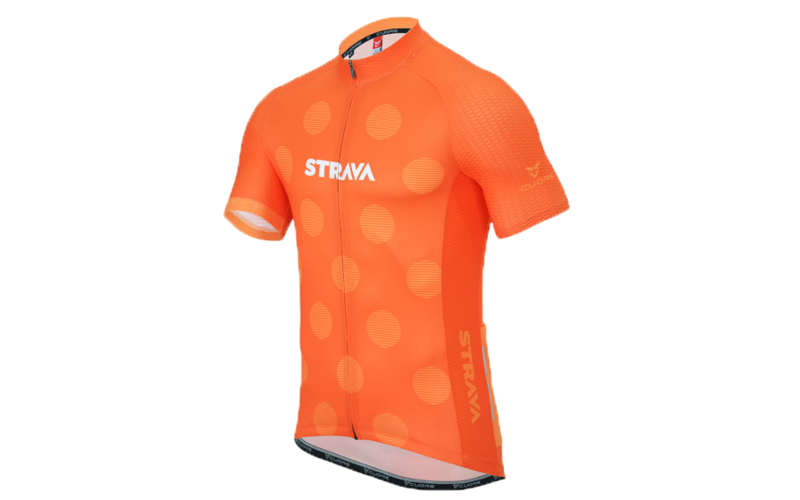 Complete the Challenge and you’ll receive a well-earned digital finisher's badge for your Strava profile, and you’ll also be eligible to purchase August’s Climbing Challenge jersey in glorious Strava orange. Complete the Challenge and you will unlock the ability to purchase a limited edition Strava Climbing Challenge Jersey. The 2015 Strava Challenge jersey features a sweatproof zippered pocket for your mobile device, reflective tabs to ensure visibility, and textured stretch fabric on the sleeves and side panels for improved aerodynamics. The purchasing window will close 5 days after the Challenge ends. The expected delivery time is 6 weeks. 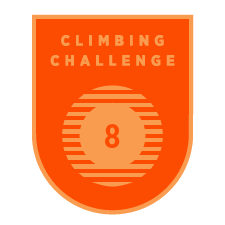 Athletes who complete this Challenge will receive a Strava Climbing Challenge digital finishers badge in their Trophy Case. Manual entries, trainer rides, or rides marked private will not count towards your Challenge effort. Ride hard and be safe. Use common sense when it comes to traffic, weather, or other conditions while taking part in this Challenge. Remember to take care of your hydration and nutrition needs when you’re out on the road.